The title says it all…How to Win in the Game of Prospecting! The single most important activity in network marketing is prospecting, exposing your products and business to new people. In this breakthrough training, Todd Falcone teaches you a proven Five Point Formula for prospecting improvement. 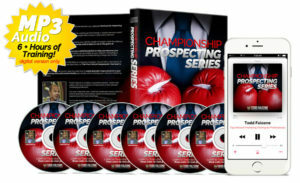 If you want to get better at prospecting, that’s exactly what you’ll learn in this series! 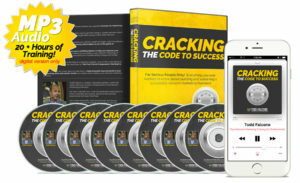 These are the exact action steps and activities that he used to go from being a “sweaty nervous wreck” to being one of the best recruiters and sought after trainers in the entire network marketing profession. Todd Falcone will empower and energize you with his wealth of insight, rapid-fire delivery and proven strategies showing you exactly what it takes to win in the game of prospecting. 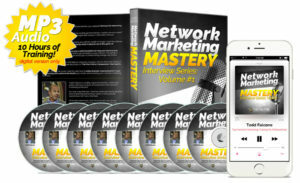 Built on proven success principles, this training is designed to help you create more consistent results in your network marketing or direct sales business. This program was designed to give you a solid foundation to help you improve your prospecting skills. Regardless of where you are today in your network marketing or direct sales business, this training can assist you in create lasting change and improvement in your prospecting efforts. 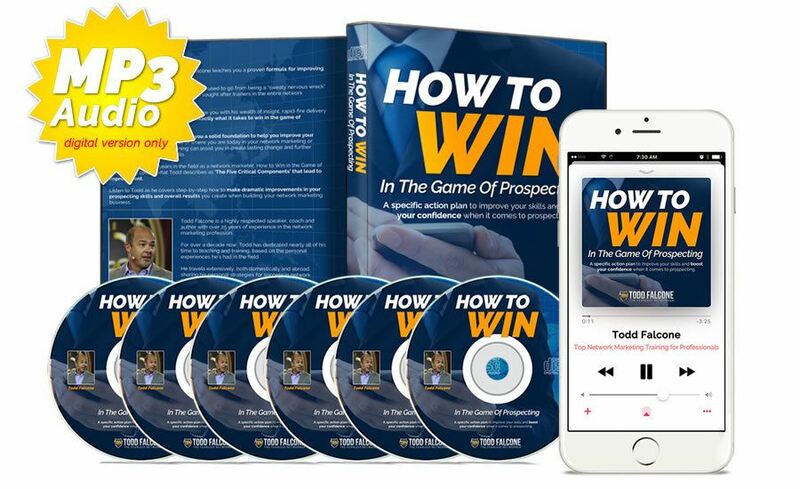 Based on Todd’s 25+ years in the field as a network marketer, How to Win in the Game of Prospecting covers what Todd describes as ‘The Five Critical Components’ that lead to improvement. Listen to Todd as he covers step-by-step how to make dramatic improvements in your prospecting skills and overall results you create when building your network marketing business.